Our research focuses on synchromodal planning problems in which information is shared between all agents in the system and they choose their routes based on an individual optimisation objective. 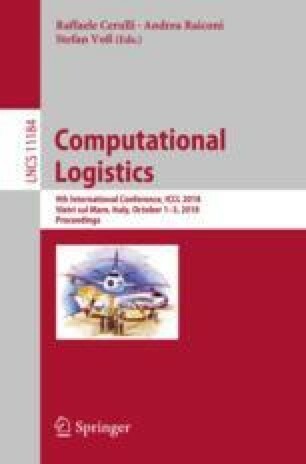 We show the effect of the information availability by developing three different methods to determine the optimal paths, to motivate logistic players to cooperate in a synchromodal system. This work has been carried out within the project ‘Complexity Methods for Predictive Synchromodality’ (Comet-PS), supported by NWO (the Netherlands Organisation for Scientific Research), TKI-Dinalog (Top Consortium Knowledge and Innovation) and the Early Research Program ‘Grip on Complexity’ of TNO (The Netherlands Organisation for Applied Scientific Research).